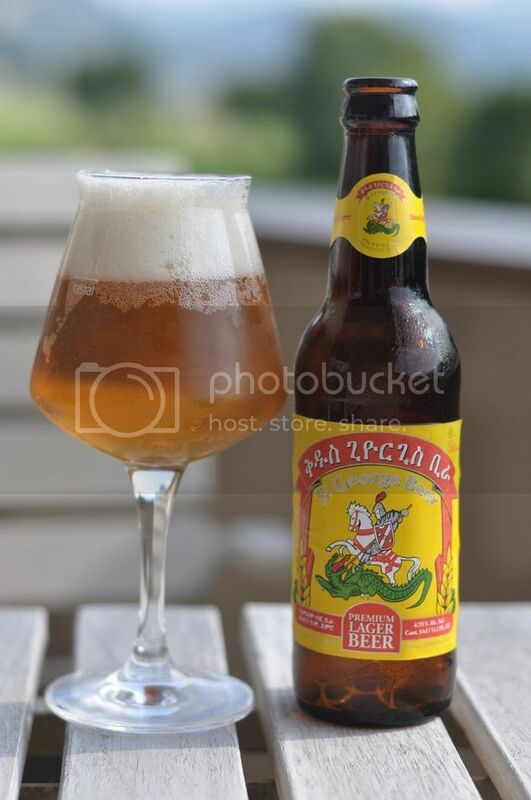 Ethiopia is probably the most exotic of the countries I've brought you in this unprecedented run of macro lager reviews. The beer is St Georges Beer and it's brewed by Kombolcha Brewery in the capital Addis Adaba. For those who aren't sure where Ethiopia is; it's in the Horn of Africa bordered by Somalia, Djibouti, Kenya, Sudan and South Sudan - right over on the Eastern side. It's landlocked and has a population in excess of 90 million people, making it far and away the most populous landlocked country. Going into this review I knew nothing about this beer, other than knowing that it existed. The pour is a lovely deep golden colour with a thick, 3 finger high, white head. There's quite a lot of carbonation rising to this head, and getting stuck on the side of my glass... Which is particularly odd as I'd just cleaned it well. The head retention was good and there was still a solid ring of foam left at the end of drinking. 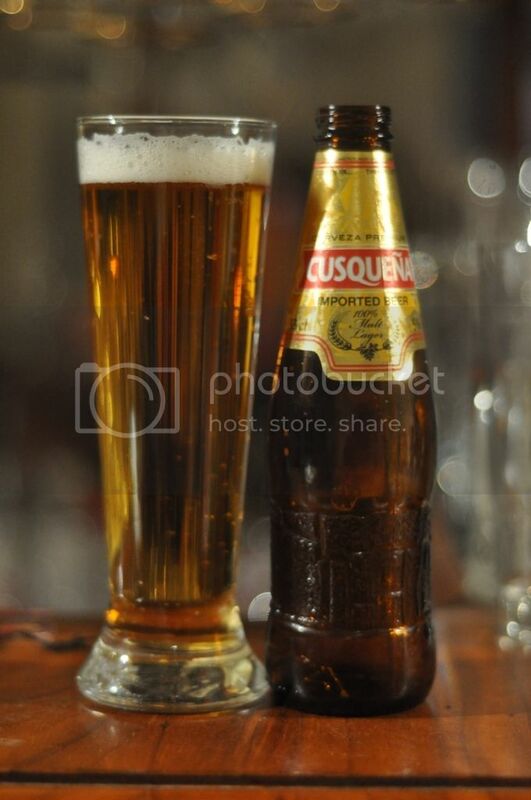 I don't think there's much more you can ask of a lager than that. Onto the nose and I immediately thought we were in trouble. The aroma was not particularly grainy and was mostly comprised of sweet smelling corn and some apples. As it warmed some floral hops became more prevalent but not enough to detract from the overall sweetness of the nose. This beer definitely didn't pass my lager rule! St George Beer, the name still doesn't sound quite right to me (St Georges anyone? ), thankfully tasted moderately better than nose indicated it would. It was sweet overall with corn being the most prominent flavour, but it wasn't appallingly so. The hops were floral and not particularly bitter but did just enough to hold the beer together. All things considered St George Beer is a pretty poor lager. Towards the end of drinking it was a little cloying, not because of the flavour but more so the mouthfeel. It just sort of coated the tongue and wasn't a particularly nice experience. It's rare I say this but probably avoid this one unless you are in Ethiopia, in which case this might be your best bet!